This is a fresh & healthy salad. Inspired from the beautiful country of Chile. Place sliced red onion in a bowl of ice cold water and refrigerate for 1 hour. This will take out the sharpness of the onion and make it sweeter and crisp. Drain water. 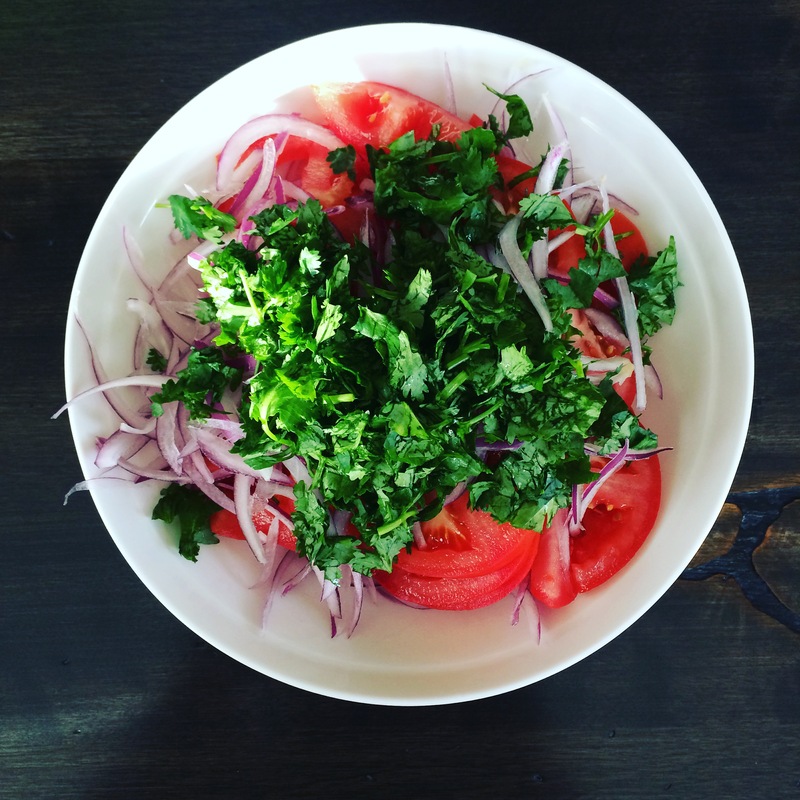 In a bowl, add slices red onion, tomatoes top with cilantro. When you are ready to serve, drizzle olive oil & salt to taste.